This tenor ukulele is the first customer order for our new line of ukes and I am very pleased with how it turned out. The spruce top comes from a stash of spruce cut for a dulcimer maker in the 1960's which I inherited from a friend. Because of it's age, it already has a great golden brown color and sounds old too. The maple is from the Carpenter Ant stash in Portland. 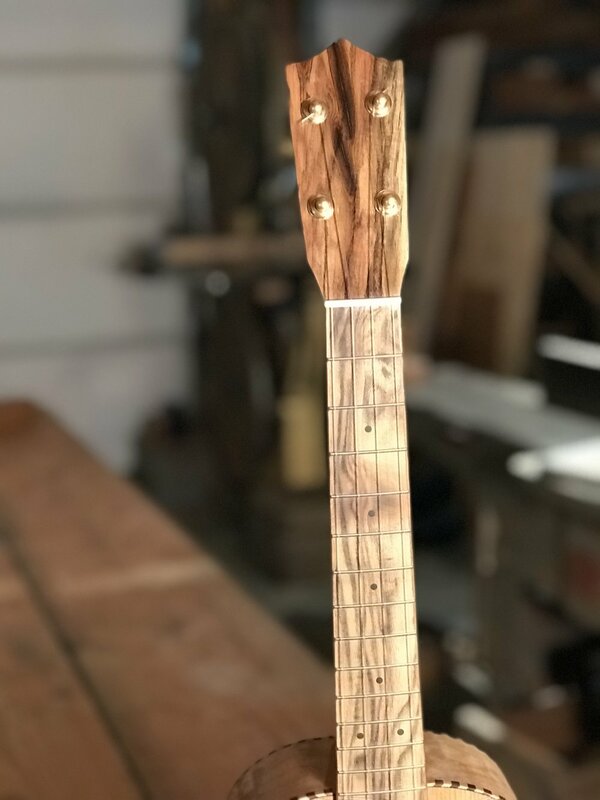 The Douglas fir neck comes from floorboards salvaged from The Dalles, OR. The pistachio comes from California Orchards. The customer also plays banjo and wanted a uke that could hang with his friends other acoustic instruments. 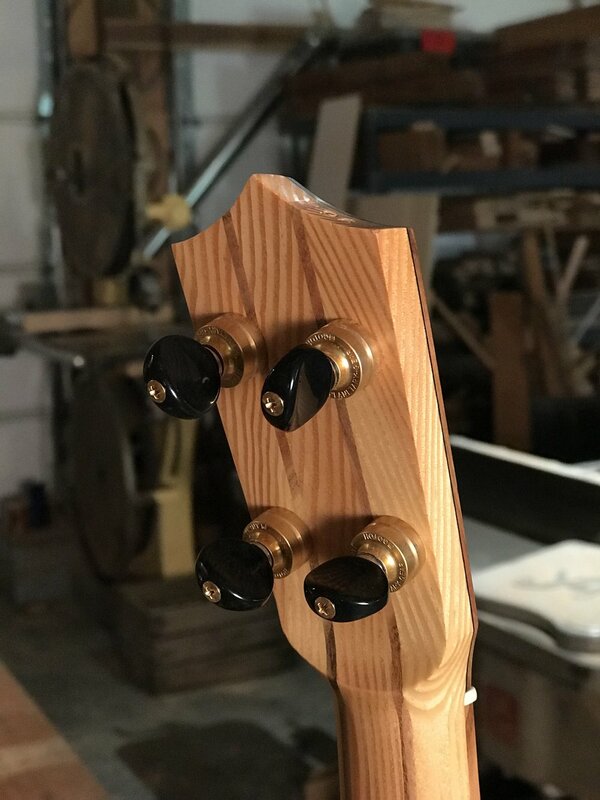 I thought this wood combo would give the volume that I needed, but I also worked hard to make sure it's voice was balanced, not piercing or shrill. I think it worked out great.